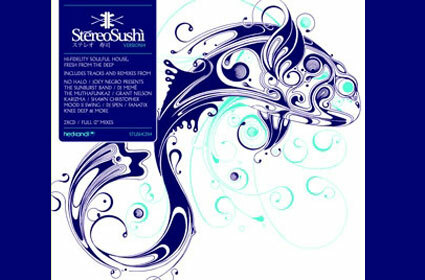 Making a final appearance for 2008, Stereo Sushi 14 is the perfect recipe for a banquet of hi-fidelity soulful house. Featuring another beautiful hand-drawn illustration by Si Scott, Stereo Sushi, is another cornucopia of tempting floor fillers generously spread across 2 discs. Including tracks and remixes from No Halo, DJ Meme, The Muthfunkaz, Grant Nelson, Karizma, DJ Spen, Fanatix, Knee Deep, and many more. This compilation will certainly satisfy those peckish for some deep, vocal, homegrown, house cuts.